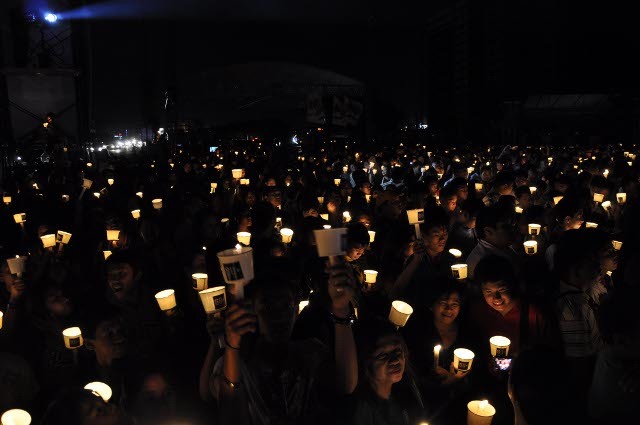 Earth Hour is a global initiative in partnership with WWF. Individuals, businesses, governments and communities are invited to turn out their lights for one hour on Saturday March 31, 2012 at 8:30 PM to show their support for environmentally sustainable action. The event began in Sydney in 2007, when 2 million people switched off their lights. By 2011, Earth Hour was being reported as ‘the World’s largest campaign for the planet’ with participation in 135 countries and territories across every continent, including the world’s most recognized man-made marvels and natural wonders in a landmark display of environmental action.